UNIGE and in particular the Department DSA has a wide experience in coordinating and developing activities in the field of scientific research on territorial, technological, urban and architectural subjects. Such studies and works are mainly targeted at the analysis of specific problems in balanced territorial and environmentally-sustainable development in specific areas and contexts. 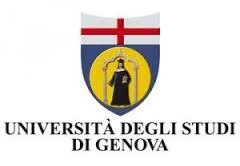 UNIGE is currently focusing on the topic of recycling in relation to urban planning, strictly collaborating with the Municipality of Genoa. The School of Architecture of Montpellier and through it the study field ‘South Metropolises” aim to work on architecture and urban projects starting from a specific entrance point which is the interrogation of the locality as a vector of urban development. This strategic methodology deals with a continuous awakening of the Cultural heritage allied with the integration of paradigms such as “smart cities” and ITC integration in cities. Through the taking into account of the cultural heritage “South Métropolis” questions the massive contribution of new technologies and their impact in the city, new governance and Metropolis constitutions. Thus, what is called “smart cities” is a necessary though for architects in order that this new “intelligent city” can be able to build a “sensible” city where new shared experiences could take place. Santa & Cole is a small, independent, and global company founded in 1985, publisher of well-designed products based in Belloch, Barcelona. Santa & Cole lives for industrial design, to produce a stable catalogue of good Indoor products and two of outdoor products (Urban Lighting and Urban Elements). They are interested in a two-speed city: the slow, pedestrian city and the high-speed, technological Smart City. For the slow city they offer well-designed, ergonomic urban furniture, with a collective identity and meaning. They present useful, durable pieces that are locally manufactured and environmentally conscious. For the high-speed city they embrace LED technology, editing efficient, durable elements to save energy and minimize light pollution. Darts Engineering develops Advanced Real-Time Systems, providing to customers ICT consultancy services, software development, system integration, customized solutions, and bookshelf services and technologies. Darts constantly invests in industrial R&D and experimental development activities in different fields. Since 2010, Darts strongly focused its R&D&I activities in two themes, core of the KAAU project: environmental monitoring and resilience of the territory, and valorisation of cultural heritage. Technilum is a company focused on the design and the manufacturing of street furniture and lighting. Thanks to its Research and Development pole it is expert in “Smart cities”. It also created the cultural organization Lézigno, targeted at exploring the issues related to contemporary city exploring the interferences between light and architecture, art, design and landscape. MCRIT is consultancy company with deep experience in assessing ICT impacts in the city of Barcelona, as well as carrying out research projects in the field, funded by the 7th European Framework Program, as well as the Spanish and Catalan research programs, especially in the area of smart mobility. Currently, MCRIT is investigating, together with the Local Council how to use information gathered from mobile phones to monitor mobility demand in the city. MCRIT created ERSILIA Foundation aiming to transfer to the educational community at all levels the know-how of MCRIT in the use of advanced technologies, as well scenario-centric and project-based resources facilitating new educational paradigm. USP is a consultancy company specialized in urban design and development. USP works with cities and delivery partners on major infrastructure and development projects to bring about broader sustainability outcomes. USP also run engagement programmes with urban planners, cities, universities and built environment professionals to encourage systemic, multidisciplinary and innovative approaches. USP works with clients, in particular, to ensure that ICT systems and data management can be used to solve urban development challenges from maintenance of assets and efficient use of resources, to community engagement and city mobility. For this project, USP will partner with their sister company Think Up who is specialized in building learning and development programmes for the built environment. This includes through digital platforms and experiential learning. A key part of this work is to ensure that programmes have a long-term impact and evaluate programme success. inAtlas is a Big Data and Location Analytics company that offers strategic business solutions. It has created a proprietary technology that increases the speed of geospatial data processing. Since 2010, it has designed and developed customized tools for private companies like Heineken, Northgate, Prisa Radio, Informa D&B, among others; and public governments like those of the Barcelona City or Santa Cruz de Tenerife City. In 2014 it launched inAtlasPlaces, the first Geospatial SelfService Web App that helps entrepreneurs and small businesses to choose the right location for their new businesses. inAtlas offers a set of APIs with rigorous location data about businesses, consumers, real-estate and online reputation. inAtlas works on the field of urban competitiveness by its own 6T approach: Territory, Tourism, Time, Technology, Talent and Tolerance. In 2013, inAtlas was recognized as an Innovative New Tech Company by the Government of Spain, Minister of Economy and Competitiveness. 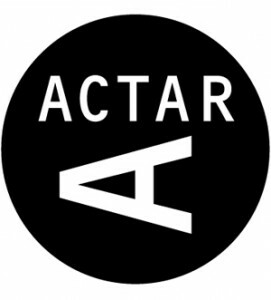 ACTAR is a publisher of books on urban planning, architecture, graphic design, and contemporary art. Champs Libre is a cultural association primary devoted to the dissemination of architecture and urban planning event. 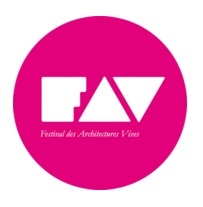 The Festival des Architectures Vives is an architectural path for the general public, who can discover or rediscover the historical landmarks of the city of Montpellier since 2006 and the city of La Grande Motte since 2013. The event invites visitors to go in contact this rich heritage by offering installations scattered around the city. In Montpellier, it takes place in the historic town and offers a path connecting mansions and courtyards. Then in La Grande Motte, the festival invites the visitor to discover a revisited contemporary architectural heritage, and sometimes rewritten by young architects. Thus, the city of La Grande Motte and specifically the architecture of Jean Balladur, recognized as the “Heritage of the twentieth century” is put into perspective by these ephemeral works. Each installation created by architects teams allows to highlight the work of a younger generation which is inventing, experimenting and exploring new design of our environment fields.